Hemp plants do contain CBD and other cannabinoids, along with more than 450 other substances, many of which have nutritious or medicinal properties. Some of the constituents have shown promise in applications used for pain caused by arthritis. The CBD and other properties of medicinal grade hemp have been shown to alleviate many inflammatory conditions. Both ingested and used topically, research indicates that hemp is useful in reducing inflammation and easing pain. The joint pain and swelling caused by degenerative and rheumatoid arthritis, and osteoarthritis, are among the disorders being researched to determine how hemp products can play a role. Hemp oil, in particular, is rich in various cannabinoids and other nutrients. Edible forms provide beneficial nutrition to an arthritis sufferer, while topicals containing hemp oil can be especially soothing and healing. Hemp oil is becoming a favorite product among massage therapists and other alternative healthcare professionals. The science behind topical hemp oil treatments also works well with the practices of acupuncture and magnetic therapy. The two sources for hemp oil are the seeds and the root of the plant. Each source has unique qualities which are useful in relieving the symptoms of arthritis. Hemp seeds and the oil of the seed date back thousands of years for food, fuel, and medicinal purposes. In 1907, hemp seed oil was used to treat gonorrhea and in 1927 hemp seed oil even found its way into the U.S. Dispensary, only to be banned in 1937. Hemp seeds and hemp seed oil contain the perfect balance of essential fatty acids, or EFAs. EFAs make up about 40% of hemp seed oil, with Linolenic Acid or Omega 6 making up over half of the 40 percent. Alpha Linolenic Acid or Omega 3s make up about 19% of the EFAs. EFAs are an essential part of the diet and protect against many serious health conditions. – Topical: Topical use of hemp seed oil is especially good for skin conditions such as eczema, psoriasis, and various rashes. Relieving the symptoms of psoriasis also has a direct benefit to arthritis. In addition to the nutrition, CBD in hemp seed oil also works to reduce joint pain and inflammation from arthritis. – Ingested: Hemp seed and hemp seed oil are the most popular ways to ingest hemp. In addition to the EFAs, it is also an excellent source of protein. 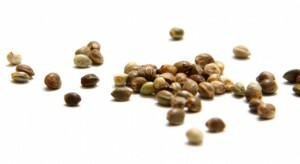 Hemp seed can be used in dressings and dips but also made into capsules. It may be used for cooking, but caution should be taken as it may cause digestive or absorption problems. 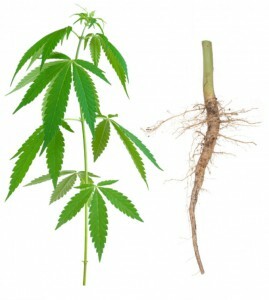 The cultivation of hemp and hemp root began roughly 10,000 years ago in Ancient China in what is now modern-day Tibet. Hemp is often given credit for launching the agricultural industry. It was originally grown exclusively for industrial purposes, and it would be another 4,000 years before it was used for nutrition. In approximately 2700 BCE the Chinese started using hemp root for medicinal uses. Hemp root was used in powder form, boiled, and extracted for its serum. The usage of medicinal hemp root spread throughout Asia and Europe, eventually making its way to the New World in the 1600s. Originally, hemp was grown in the New World only for industrial purposes, but found its way into medicines around 1730. Hemp root contains varying amounts of cannabinoids depending on the strain. Though it does not contain the EFAs found in hemp seed oil, it does contain significant amounts of beta-caryophyllene, a nutritious and anti-inflammatory substance also found in culinary herbs. Hemp root also contains various terpenes that have anti-cancer and antibiotic properties. – Topical: When applied topically, hemp oil is added to carrier oils or other therapeutic ingredients. Pure hemp oil should not be applied directly to the skin. It works at the cellular level in the cell’s nucleus. The CBD signals the DNA to create a protein which turns off the acid production, thereby alleviating difficult to treat pain and pressure. Additionally, hemp root oil has a warming effect and a pleasant nutty odor, resulting in almost immediate relief. – Ingested: Hemp root oil is not typically used for cooking, but can be added to teas or tinctures with the right dosage. Always consult with your doctor if you have questions or concerns about ingesting cannabis or hemp oil. 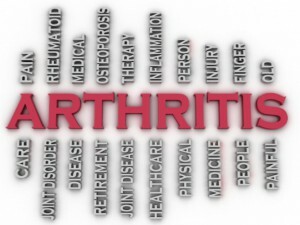 In the treatment of arthritis, proper nutrition, diet and exercise are all important in pain relief. A combination of these preventative steps and topical treatment containing hemp root oil can provide some natural relief.